Drug Detection K-9 Services for homes and neighborhoods. 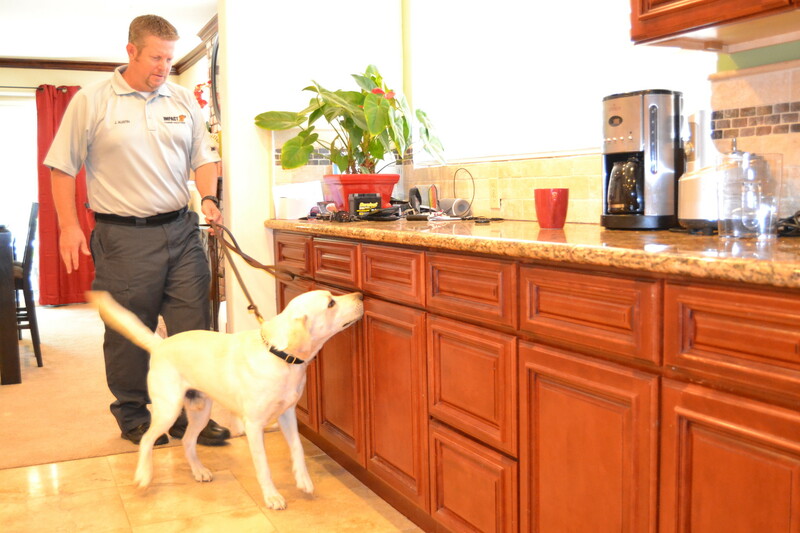 Impact Canine Solutions specializes in residential drug detection services using sophisticated drug detection dogs. We live in a dynamic and fast-paced society, and with the advances in technology, parents and communities find it difficult to raise and maintain drug-free children and young adults. 50% of teens in treatment programs say they had used drugs for at least 2 years before their parents knew. The key for an addict to hide things successfully is being discreet. There are an infinite amount of places for a user to hide his substances. The most common place to hide drugs is where the person feels most comfortable, at home or in a personal vehicle. A basic strategy such as a residential inspection is important and should be incorporated for screening at-risk individuals. However, you could spend several hours doing some detective work and still not find anything. Impact Canine Solutions (ICS) residential canine inspection service offers a non-intrusive, discreet, and confidential method to detect and deter narcotics and contraband from being used or stored in your home. ICS residential canine inspection service can conduct discreet, yet thorough inspections of your complete property or just a specified area within your home. Our K-9’s are highly trained to detect commonly abused drugs and medications, alcoholic beverages and gunpowder based items / firearms. ICS only uses passive alert canines. Our objective is to detect and eliminate drugs in your home. We can schedule a thorough inspection that works best for your needs. You will determine the areas that will be checked by our detection canines and observe the inspection activities. In the event we have an alert, the detection canine will sit to indicate the source of odor. This will ensure no home furnishings will be damaged. The advantage to using ICS is that the individual using/storing drugs does not have to undergo drug testing, be present or need to know about the search. In the event that we find the presence of legal or illegal drugs, you will be allowed the opportunity to handle the situation as you deem necessary. Impact Canine Solutions is not affiliated with law enforcement or governmental agencies and we do not notify them of our findings. If you have questions about our private drug detection program or would like more information, please feel free to contact us. We will schedule a confidential meeting with you to discuss your needs. "50% of teens in treatment programs, say that they had used drugs for at least 2 years before their parents even knew." California Narcotic Canine Association (CNCA) & California Narcotic Officers Association (CNOA). © Copyright 2014 Impact Canine Solutions. All Rights Reserved.